Content with his life, Elek Keros never questions the ways of the Unicorn. Until one night the sense of something coming awakens him from a deep sleep. 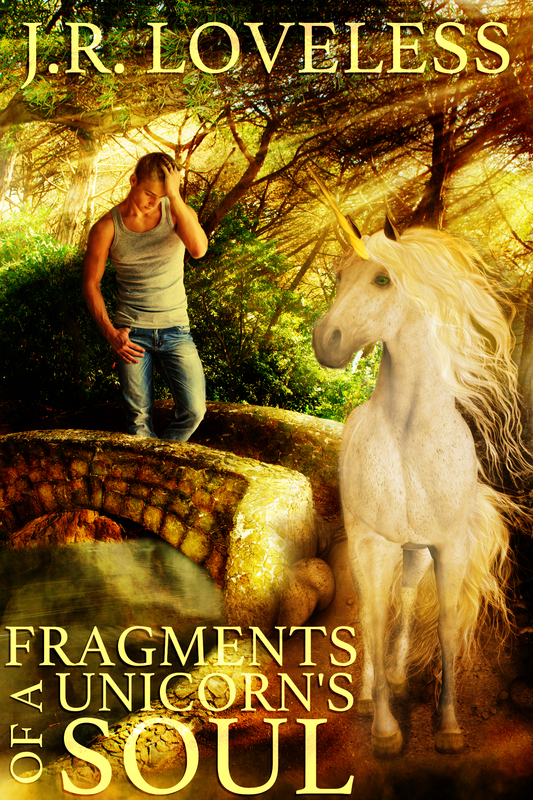 He breaks Unicorn law by leaving the enchanted glade his kind lives in to search for what is calling to him. Each night he returns home without answers, but he cannot stop entering the forest day after day to find what he seeks. The answer lies in a small child Elek rescues. Over the years, he watches over the boy, learns all that he can about the human and steadily falls in love with him. But how can the love he feels possibly breach the divide between their two worlds? Elek let out a pained whinny, tossing his head in denial of Jonathan’s words. The human male would not be coming back. It struck such pain through his heart that Elek did not understand how to cope with it. What could he say to make Jonathan remain by his side? Please don’t go. “Because my feelings for you aren’t rational! You aren’t human, Elek, and… I can’t do this anymore. All I can think of is you, all I dream of is being here with you. It isn’t possible,” Jonathan cried, squeezing his eyes shut. Today would be their last day together. He returned to school tomorrow. Desperation rose in Elek. A strange burning sensation started behind Elek’s eyes. Salt stung his nostrils and water welled up, spilling down his muzzle. I… love you, Jonathan. Elek keened to him, frantically hoping that Jonathan returned his love. Elek struggled to his feet, backing away from Jonathan. He’d put his heart in Jonathan’s hands and the human had rejected him. Despite knowing that their love wasn’t possible, Elek couldn’t stop the hurt spearing deep into his soul. A shrill cry echoed throughout the trees and Elek spun around, racing away from Jonathan, trying to outrun the pain. But it haunted him, nipping at his hooves like dogs at the paws of a fox. The human did not return his love. Elek didn’t stop running until he’d reached the glade. His head hung down almost to the ground in sorrow, and the normally vibrant spiral horn had dulled to a grayish color. Congrats on the new release! It sounds nice, I’d like to read it. I love a story that covers years and develops the relationship over time. I’m really looking forward to this one.